On 18 May, IATEFL Head Office announced details of scholarships being awarded to attend the 2019 annual conference, which takes place in Liverpool, 2 – 5 April 2019 at the ACC in Liverpool, UK. The last time the conference was held in this famous city was in 2013. Each year IATEFL offers a great range of conference scholarships to enable teachers, trainers and other ELT professionals the opportunity to attend the IATEFL Annual Conference. 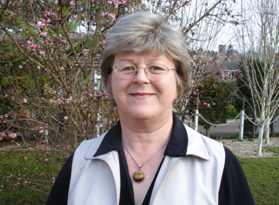 The Diana Eastment Roving Reporter Scholarship is available to one current member of IATEFL and the LTSIG. This scholarship commemorates the founder of MUESLI (Micro Users In English as a Second Language Institutions) which became known as the CALL SIG (Special Interest Group) and now is the LT (Learning Technologies) SIG. It is supported by LTSIG funds and donations from Diana’s friends and colleagues. It is aimed at a tech-minded educator who wishes to attend the 2019 IATEFL Conference and the LTSIG Pre-Conference Event to write articles and create media on sessions they attend. The winner will be expected to be actively involved in the use of learning technologies and be create and submit reports during the event. The award includes covering the costs of travelling to attending the conference. More details below on the award and how to apply can be found in the links below. This year’s Roving Reporter was Elisa Effendy from Indonesia, while the previous year it was Leung Wai Tung (Will) from Hong Kong. Applications for our 2019 scholarship opened on Friday 1st June 2018. The closing date for applications is 16.00 (UK Time) Thursday 12th July 2018. Any applications received after this time will not be accepted. → Click here for more information on all the IATEFL annual conference scholarships being awarded and guidelines on how to apply. → Click here for more information on the Diana Eastment Roving Reporter Scholarship available to current LTSIG members only. IATEFL 2018 scholarship winners photographed at the Brighton Centre on 10 April this year.